Setmore’s web app lets you sync your staff calendar with your Google and Outlook calendars. If you have already activated the 2-way calendar sync on the web app, you can configure your Setmore mobile app to display Google events and Outlook events on the calendar page. From inside your Setmore app, tap Account and choose Settings. 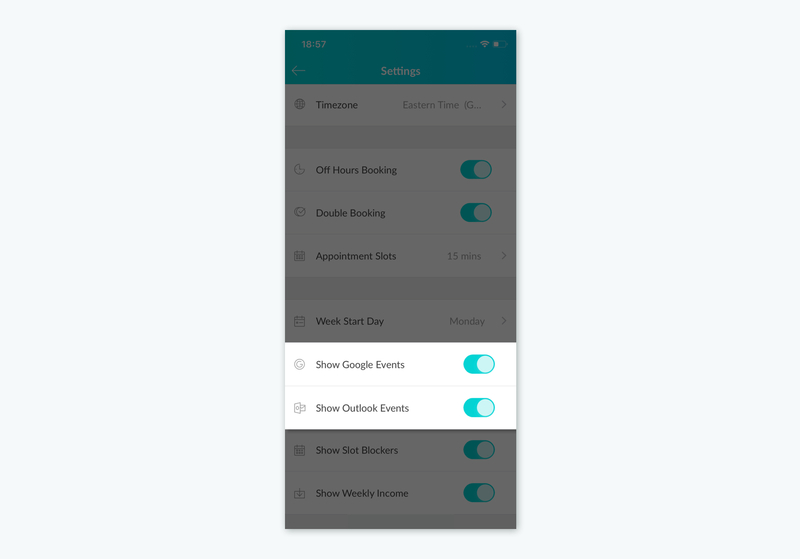 Tap the switch next to Show Google Events to display Google events in your mobile app. Tap the switch next to Show Outlook Events to display Outlook events in your mobile app. 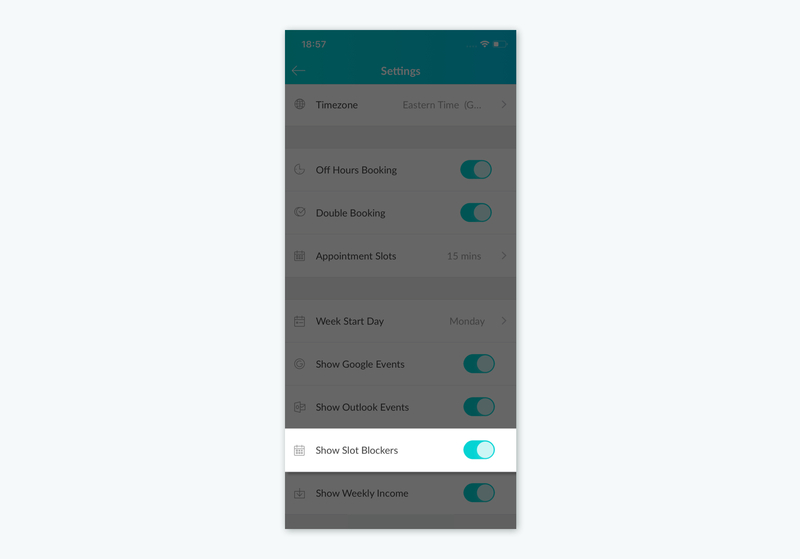 Enable the Show Slot Blockers switch to display them in your Mobile app. 2. 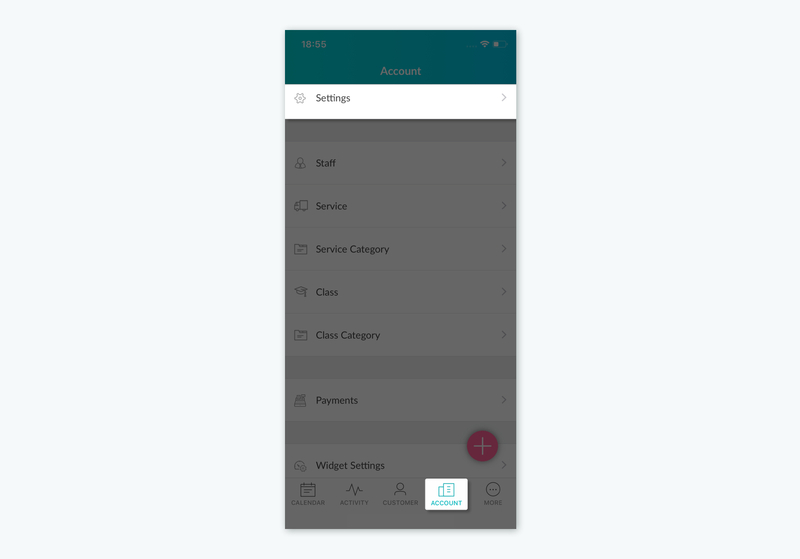 Tap the switch next to Show Weekly Income to display the weekly income. 3. 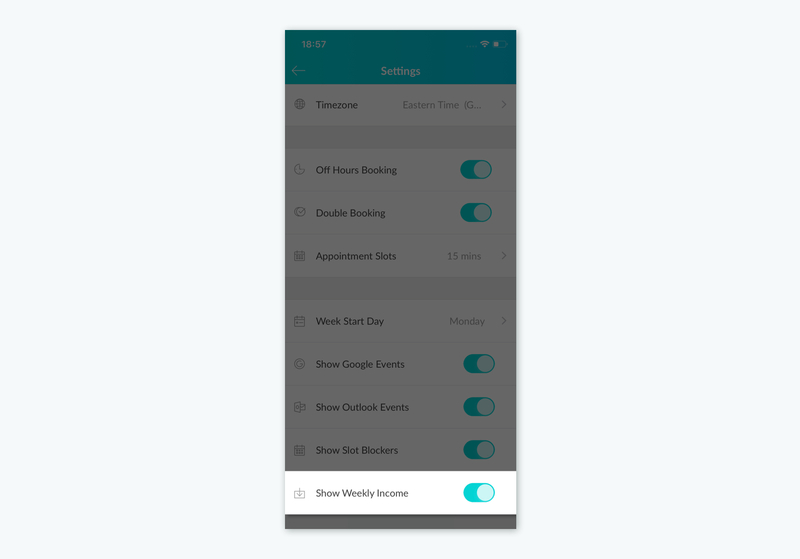 The weekly income will be displayed when you scroll down in the Agenda view. 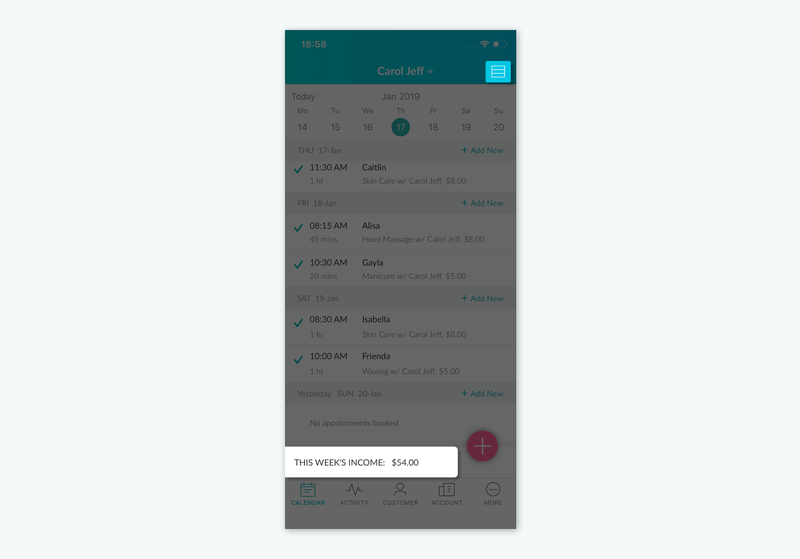 The weekly income stats will not be displayed in 3-day view.